Mega Evolution rule : First time his health reaches 50, it heals back to 150. Flip a coin. If heads, this attack deals 50 more damage. 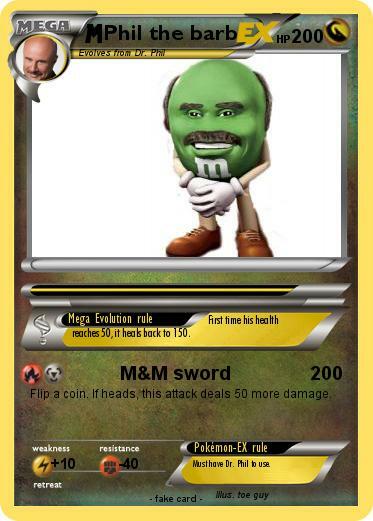 Pokémon-EX rule : Must have Dr. Phil to use.